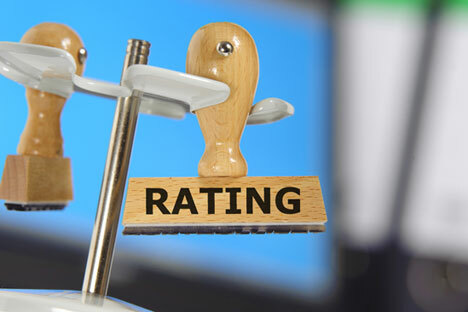 Russian authorities have revived the idea of establishing a national credit ratings agency. The new agency will be established under the patronage of the Central Bank, with the country's largest credit institutions acting as its founders. According to analysts, the ratings of the new agency will primarily help small companies to get debt capital. Economic Development Minister Alexei Ulyukayev told the news agency RBK that, in 2015, Russia would have a new credit ratings agency, According to Ulyukayev, the national rating agency should be founded by its users; major banks and companies. “The main thing is that this agency has the largest capital. The greater the capital, the greater the responsibility of the agency and the greater weight of the ratings that it will build,” said the minister. The agency has already drawn attention of the largest banks, with each founder of the agency to receive no more than 5 percent of its capital, he said. The main contours of the future agency were defined at a meeting at the Central Bank on July 24, 2015. According to an official report from the Central Bank, the new agency will be headed by Yekaterina Trofimova, first vice-president of Gazprombank. Earlier, she worked for over a decade in the international rating agency Standard & Poor’s, where she served as director of ratings of financial institutions in developing countries. The national rating agency's capital is expected to be 3 billion rubles ($47.48 million), equally distributed in shares among investors. The advance subscription for the shares will be held before the end of August 2015. As Trofimova stated later to the newspaper RBK-Daily, the founders of the new agency will be 25 to 40 participants in the Russian financial market; banks and financial corporations, as well as insurance and pension companies. Russia’s second-largest state-owned bank VTB, one of the largest private banks, Promsvyazbank, investment giant the BIN group and the largest insurer Rosgosstrakh have shown interest in the creation of the rating agency. Analysts have differing attitudes to the idea of creating a new agency. “I am skeptical about the idea of creating such an institution, because I don't really understand the meaning of its creation and what goals are set for this agency,” said Ilya Balakirev, principal analyst at UFS IC. The main asset of rating agencies is their reputation, which is earned for decades, he said. “The leading role of the Big Three U.S. rating agencies in the global ratings market is due to the historically high level of quality of their forecasts,” said Anton Soroko, an analyst with Finam investment holding. However, he said the development of alternative appraisers will, in the long term, be to the advantage of not only Russia but also the world. Soroko recalled that investors are actively using ratings of the Chinese agency Dagong. The presence of Dagong’s rating is a prerequisite for investors on China’s domestic bond market, of the ‘panda’ bonds. The agency has already assigned the highest rating to the Russian gas monopoly Gazprom and its subsidiaries; the oil company Gazprom Neft and Gazprombank, whose vice-president is the future head of the Russian rating agency. According to Balakirev, the idea to start the agency in Russia can be viable if it is positioned as an institution to facilitate access to credit markets for small issuers. “Attempts to make one’s ‘fair’ S&P, as opposed to their ‘unfair’ one, will fail, just because the mechanism of ratings does not work this way,” he said. Why does Russia need its own agency? The idea to establish a Russian national ratings agency emerged in 2015, after international rating agencies Moody's, Standard & Poor's and Fitch began to cut the country's ratings due to the worsening geopolitical situation. In April 2015, Igor Shuvalov, first vice-premier of the Russian Government, held a meeting where it was decided to abandon the creation of a new agency. Then, it was proposed to develop cooperation with China’s Dagong Global Credit Rating.